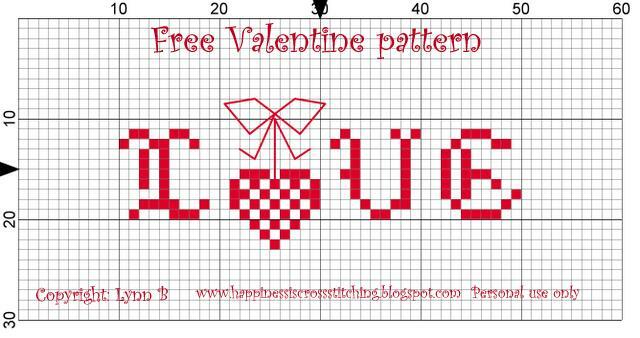 Free love pillow for Paris show and another free cross stitch pattern! Here is the little love pillow pattern from the previous post, I have stitched this for giving away at the Paris embroidery show, the first person to see my badge and identify me can claim this small gift, if no one claims this prize I will offer it up as a freebie when I return. I will make a small badge with my blog name and wear it on my lapel. 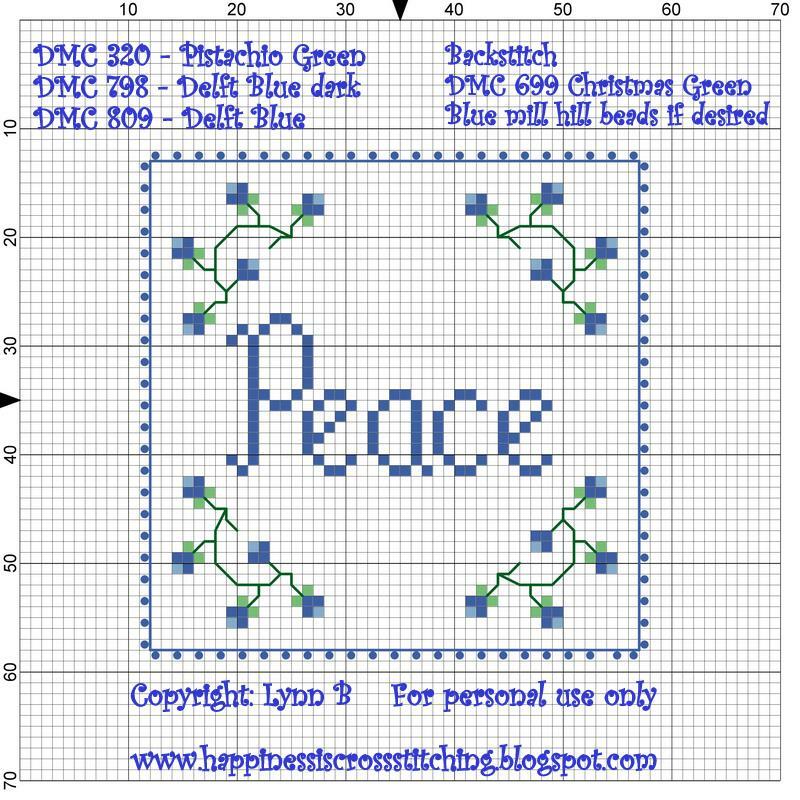 I have also made another cross stitch freebie for you to stitch, this one is Peace and it matches the Joy pattern I posted at Christmas 2011. 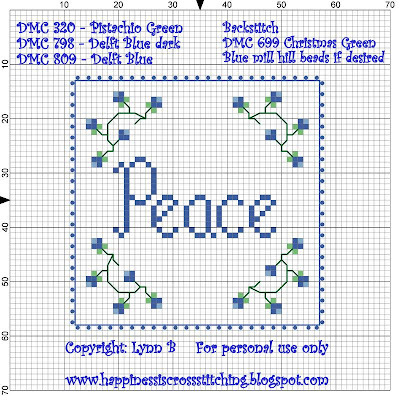 So now you have all three patterns , Peace, Joy and Love which is exactly what I wish for all of my readers! 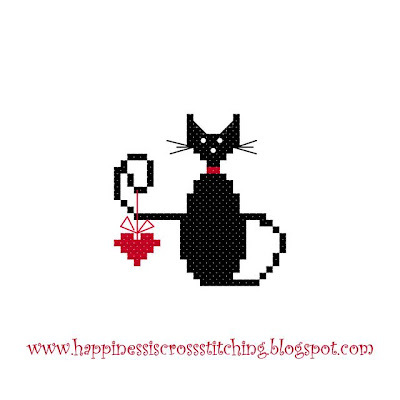 Free valentine cross stitch patterns, Rosey finished, new stash and Tilda dolls! I have bought some new fabric to make this Tilda Doll from the book Tilda's Summer Ideas, this fabric is really pretty, I got it from ebay, it is from the Tilda fabric range. I also bought some other fabric from a website called Crumbly Cottage in the UK, they arrived very quickly and Claire the owner placed a free bag of buttons into the parcel, it felt like my birthday, they were such a treat to open! I have now finished Rosey from Little House Needleworks, I think she is so pretty, the photos are below. As Valentines day is approaching I decided to make a couple of free patterns for you, the cross stitch freebies are at the bottom of this post. As you know I am off to Paris to the embroidery show and I am thinking of making a small gift for the first person who recognises me. 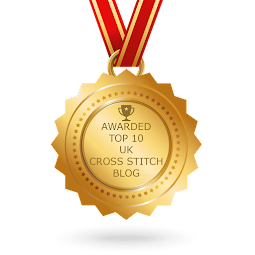 There is only one exception to this, if you have already won one of my giveaways you are not eligible to claim this at the show but you can claim one of my patterns from my Etsy shop, I will be putting the full details on my post on Sunday evening. 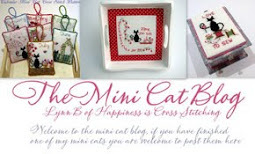 I will be wearing a badge with my blog name to make it easy to find me! Hopefully I will have made the small gift by this Sunday when I will post a picture on my blog, if no one claims it at the show I will offer it as a free gift when I return. 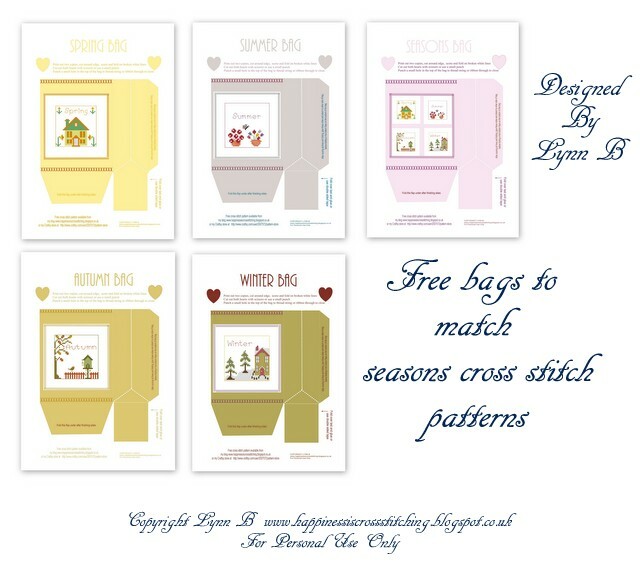 Here are the cross stitch freebies, they make lovely scissor fobs! This love birds cross stitch design is available to purchase, just email me in my profile. Thankyou to all of you for the lovely comments you send my way, and may I extend a warm welcome to all of my new followers! Cross stitched bag, pinkeep and pillow. The free alphabet pattern is available from me via email in my profile. I show how to fringe the edge in the photographs below. On reflection I think I should have put the seam down the side, mmmm! until you get to the stitching and there you have it, a nice fringed edge! Cricut Cake Machine, my Christmas gift! Hi everyone, I have not been doing much cross stitching this last month, in fact, I haven't been doing any, however, I have been stitching on a dress that I started last summer and I have also been checking out my Christmas gifts. The first I want to tell you about is this wonderful cake decorating machine that my husband bought me, you can decorate really beautiful cakes with this, very easily! It is the Cricut Cake, it came with a selection of tools and a computer cartridge that fits in the machine, this has all of the designs for you to choose to decorate your fondant icing or you can cut out biscuits in lots of lovely shapes. I am going to be using this over the next few weeks to get used to it and then hopefully I can show you some nice creations I have made. I love making cupcakes, they are just so pretty with all the new edible cake glitters and decorations that one can purchase, I bought the cupcakes book in the top photograph and made some delicious cupcakes after following their recipes, you can find the book at the link below. There are many other cartridges to choose from but this is the one that was included in the package Choose from TONS of Cricut Cartridges! The next gift I received was from my sister, it is a book by Cath Kidston, I love it because it included a bag that you could make yourself, it is an easy pattern to follow, I am looking forward to stitching this. The fabric is really pretty and you even get the Cath Kidston label. 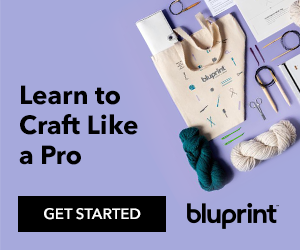 Check out the book for yourself here Sew! 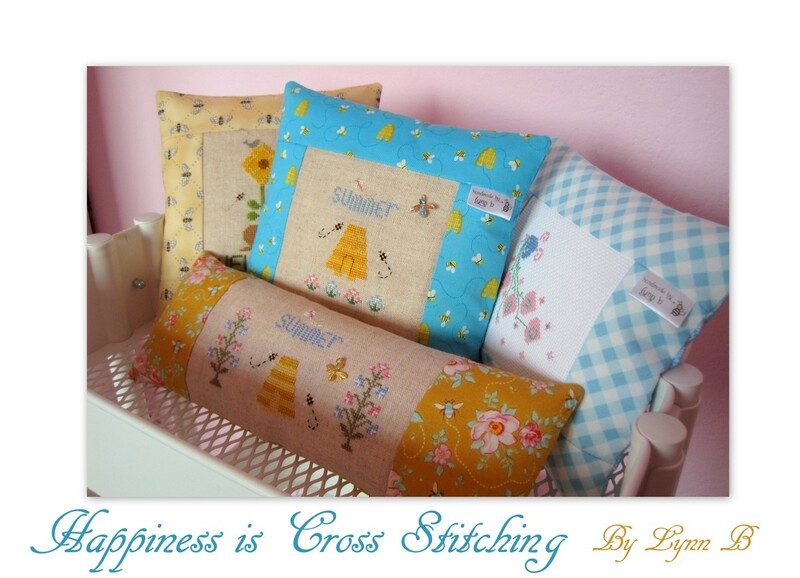 Stitching news and my forthcoming trip to Paris! Below are a couple of photos of the red dress I have been stitching, the first is the pleated sleeve and the next photo shows the ribbon trim that I will be putting on the waist and hem, if you wish to see more progress you can see it on my dressmaking blog here. 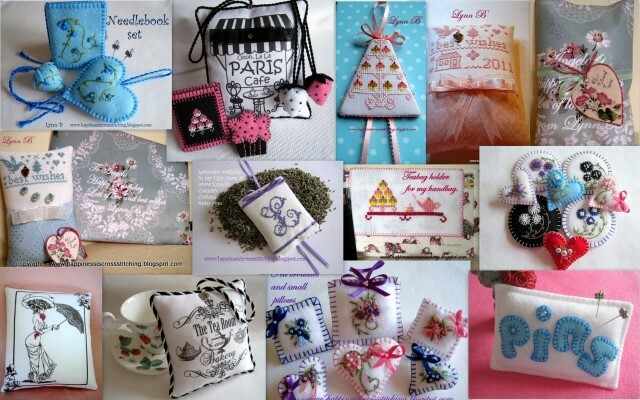 I am so excited to be going to the L'aiguille en fete stitching show in Paris in February, I missed the opportunity to go last year but promised myself I would attend in 2012. My husband and I, together with my sister and brother-in-law, will be going to Paris for three nights, the husbands will not be joining us at the show but my sister and I will be enjoying every minute! 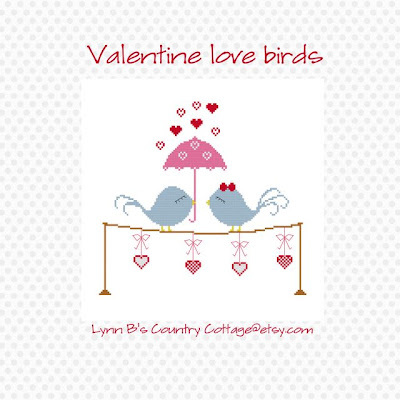 In my next post I will be giving away a free pattern for Valentine's Day and I will also be confirming details of catching up with me at the Paris show. Thankyou for all your comments on my last post and welcome to all of my new followers! I have had a few problems with emails not getting to the recipients in box, if you have emailed me for anything specific you should have received a reply by now, unless you are a no- reply blogger, in which case I cannot reply to your emails. 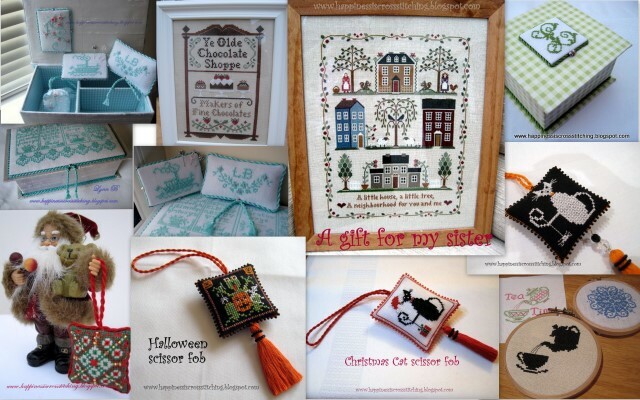 I thought I would show you all of my completed stitching and cross stitch designing for 2011, I had to split it into separate photograph's so that they could be seen more clearly. 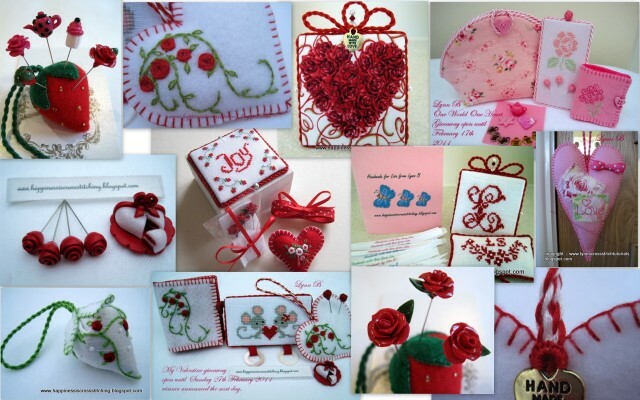 Thankyou for all of your lovely comment's on my last post and welcome to all of my new followers.